What is Senior Fitness Training? Senior fitness training refers to the process of assisting senior citizens or those who are over sixty-five years old and who have already retired from their jobs when it comes to achieving the highest level of fitness. Senior fitness programs are now available for the elderly to make sure that they are still physically fit despite their age. If you are planning to become a personal trainer and work for senior clients, then you have to know exactly how you can help the seniors achieve their physical fitness goals in the safest manner possible. It should also be noted that while the rest of fitness and health enthusiasts need a somewhat rigorous training, you need to initially provide seniors with an easier approach when it comes to physical and fitness training. This will guarantee that they will be getting the safest fitness or personal training possible. When it comes to training seniors, note that it is of supreme importance that you increase the level and quality of care. It is because the whole training may cause you to encounter the frailty, fragility and other health conditions suffered by your elderly clients. It should also be noted that seniors can only tolerate tiring and rigorous exercises if they get a lengthy break. There are even seniors who cannot tolerate walking for more than 10 minutes on your treadmill while they are also talking with you. This is the main reason why you have to improve your perseverance and patience if you are serious about working in the senior fitness industry. If this is the place you envision for yourself, you must consider taking a specialized senior fitness certification program as your usual fitness certification course will not cover the specifics required for training senior citizens. If you are planning to become a senior fitness trainer degree holder, then it is highly recommended for you to check out the senior fitness certification course which is now part of the platinum online personal trainer certification program offered by Brainmeasures. 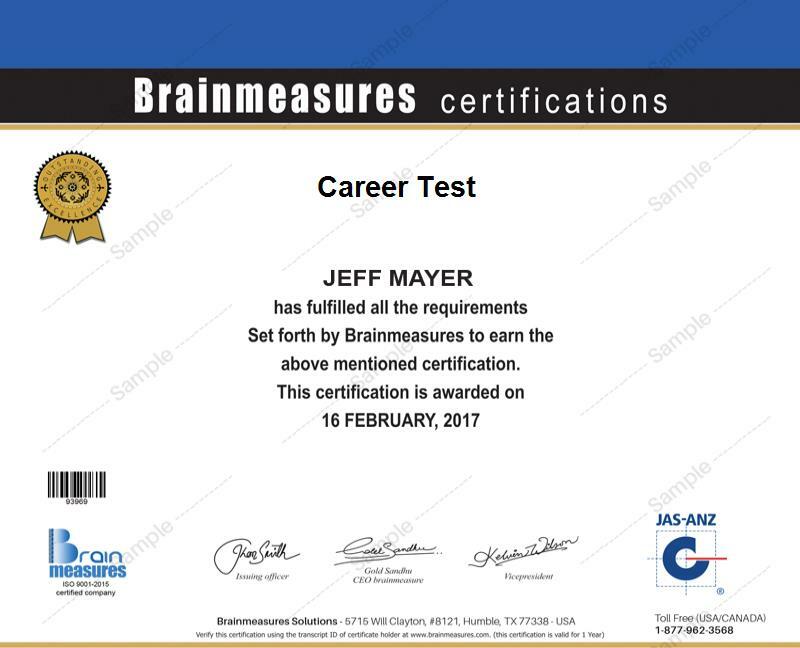 Brainmeasures is an online certification company which has already received a lot of feedbacks because of the proven quality and authenticity of all its certification courses especially its platinum personal trainer certification program which is composed of twelve individual courses designed to help practitioners learn everything about physical fitness and training. If you want to focus on providing services to senior clients in the future, then note that it is alright for you to take up the senior fitness certification course alone. With the help of this senior fitness course, you will no longer find it hard to develop the best and the safest exercise programs for your clients. Note that before you can ever take a hold of your hard copy senior fitness certification, you have to commit yourself towards passing the online senior fitness exam which forms part of the program. If you are serious about becoming a senior fitness trainer, then the senior fitness certification program from Brainmeasures can offer you a lot of benefits. Brainmeasures senior fitness certification program is extremely beneficial for aspiring senior fitness trainers like you or for anyone who desires to establish a senior fitness training business and earn huge amounts of profit through it. Completing your senior fitness certification course does not only allow you to enjoy challenging and interesting fitness and training jobs but also let you increase the level of your income. Senior fitness certification holders can expect to earn money either on an hourly or fixed basis. Senior fitness certification holders can earn a fixed annual salary of around $30,000 to $90,000 depending on your exact location, your employer, your position and the specific number of your senior clients. If you get an hourly or part-time contract, then your earnings can start from $25 per hour. If you further wish to accentuate your profile, you may also consider applying for a CPR certification course as you will then be able to train senior citizens and also handle emergency health situations if and when they arise.